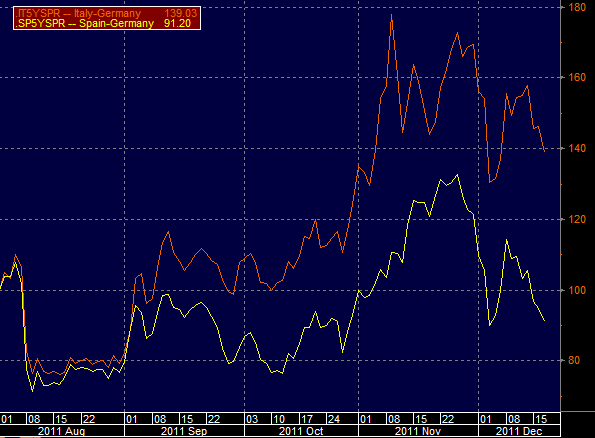 The markets are pushing the eurozone default risk further out in time. 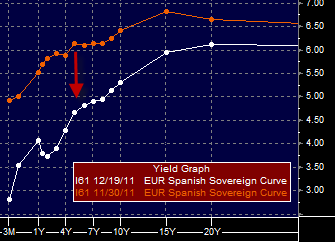 The Spanish and Italian yield curves are no longer flat/inverted and have become more "normalized". 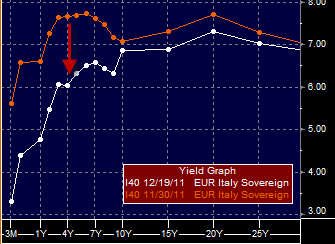 The market is starting to differentiate among sovereign credits, with Spain improving more than Italy. The ECB: As the SMP transactions which settled last week were of a volume of EUR 3,361 million, the rounded settled amount - and the intended amount for absorption accordingly – increased to EUR 211.0 billion. The ECB tries to sterilize their purchases by taking in deposits, and is therefore limited in their ability to buy significant amounts. 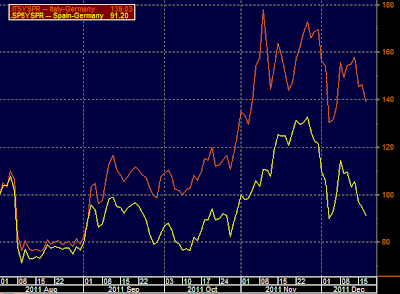 Thus the risk continues to be the dependence on the appetite of private investors.